Mencap is one of the Co-operative's chosen charity partners for 2011, along with its sister charity, Enable Scotland. The year has seen a programme of fundraising events, from tea parties to bike rides, with Co-operative colleagues and members taking part in a wide variety of activities. The money raised will launch an innovative new programme, Inspire Me, which will reach 20,000 young people across the UK, empowering them to gain the confidence and skills to achieve their goals. 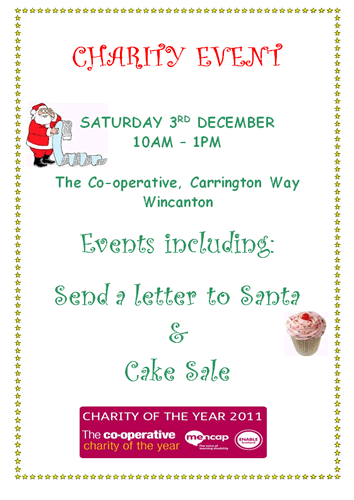 Join the Co-op on Saturday 3rd December for a Christmas fundraising event for this very worthy cause.